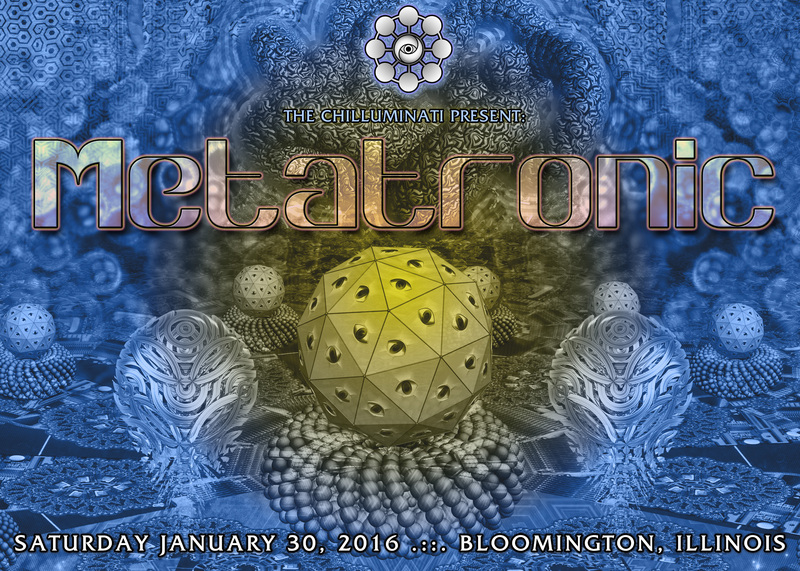 The Chilluminati Present, in our eleventh year, our one-night Psychedelic and Goa Trance event: Metatronic! This is an open-invite, full-scale music and art event taking place in Central Illinois. Amazing audio navigation from some of the best psychedelic trance artists in the region, artwork and visual installations, kinetic UV performances, and more! Join us as we roll through the winter season and progress through Goa, Psytrance, Psychill, and PsyDM in an immersive & interactive environment by design. Channeling energy from both personal and galactic center, Earth and Sky, Past and Future, Mandala weaves pulsing frequencies together into a tapestry of universal beauty, power, and love. 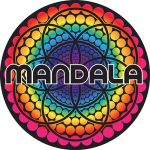 At home in deep, resonant spaces as well as high energy environments, you will find Mandala immersed in bass as deep as the ocean, where all manner of psychedelic creatures and soundscapes reside. Futuristic space inspired sound design blends full circle with organic, tribal elements to create a perfectly balanced mandala. Krikett is a trance-dimensional spacebug known throughout the US for a beyond expectational deliverance of tasty sonical treats and shiney things. With the formula of stimulating track selection, seamless mixes, and profound live presence; she has traveled a multitude of coordinates and thousands of miles/kilometers for events of every variety. Frequencies range from all styles psychedelic; mainly psytrance, but also breaks, drum and bass, and techno; while keeping a consistent vibe of all things juicy, weird, fun, and groovy. Krikett's motive is to always make you move and level up to the next dimensions; she is guaranteed to graciously fill the void and the dancefloor for any occasion in need of a little something extra special. This is an all-night, all-inclusive psychedelic and goa trance event located in a commercial/industrial district. Admission is restricted to ages 18 and up and there will be strict ID checks at the door. THIS IS A LEAVE NO TRACE EVENT. This means that you are expected to pick up after yourselves and help us return the venue to its owners in the same, IF NOT BETTER, condition than it was before. You may be able to arrive early if you contact us ahead of time. Let us know what is on your mind. Cost per person is $15 in advance or $20 at the door. R.O.A.R. (or Right Of Admission Reserved) is in effect for this event. This means that your participation is voluntary and at our discretion. We reserve the right to refuse entry or make anyone leave the event at any time for any reason, or no reason. Any other questions? Have your people contact our people. Metatronic is an 18+ event, with ID REQUIRED.